My wine is the result of the genuine love I have for the nature and the joy with which I harvest its fruits. Spending time in my vineyards and enjoying their many fragrances makes me feel closer to my grandfather and uncles and aunts, who were all winemakers in the Oltrepò Pavese region. This love, passed on from generation to generation, encourages me to insist only on the best and the results obtained, year after year, show that I am right. Right to rely on a staff of highly professional wine growers, wine makers and an oenologist, who patiently oversee the entire wine making process from ripening the grapes to harvesting and selecting them and from vinification to cellar refinement and bottling. I know you don’t necessarily have to be a farmer to obtain a good wine, but you certainly need a love for wine-growing, the kind of love my ancestors have passed on to me. Cascina La Signorina was born i 1982, founded by Montagna family, who still owns it. In 2006, with the purchase of La Mora farm, Cascina La Signorina made a fundamental change to its business, acquiring a tasting room for 80 people and a catering suitable kitchen. 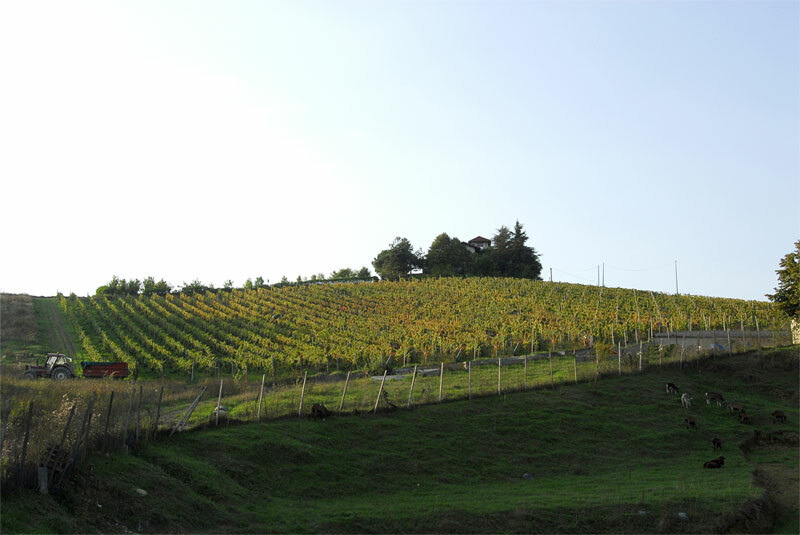 Cascina La Signorina produces wines entirely made with its vines: Dolcetto Superiore La Bocassa - Dolcetto La Mora - Dolcetto La Solera, Lo Strano (nebbiolo, barbera, merlot, cigliegiolo), rosè La Solera, Chardonnay, dry Moscato.